In Psychoanalytic Therapy as Health Care, a timely and trenchant consideration of the clash of values between managed care and psychoanalysis, contributors elaborate a thoughtful defense of the therapeutic necessity and social importance of contemporary psychoanalytic and psychodynamic approaches in the provision of mental health care. 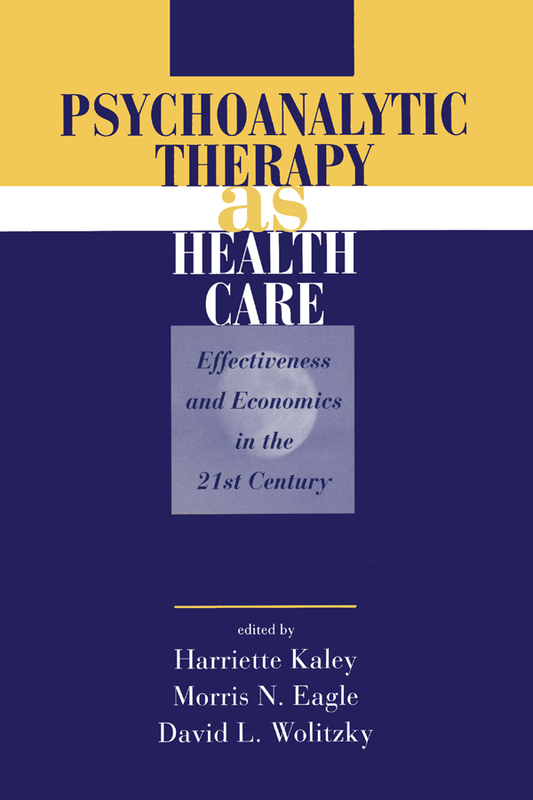 Part I begins with the question of where psychoanalytic treatments now stand in relation to health care; contributors offer explanations of the current state of affairs and consider possible directions of future developments. Part II looks directly at the conundrums that have resulted from the attempt to integrate psychotherapy and managed care, with contributors examining the ethical and legal dimensions of confidentiality, privacy, and reporting to third parties. Part III opens to wider consideration of the experiences of psychoanalysts under health care systems throughout the world. Finally, Part IV demonstrates the relevance of contemporary psychoanalytic approaches to a variety of contemporary patient populations, with contributors focusing on the applicability of analytically oriented treatment to AIDS patients, seriously disturbed young adults, and inner-city clinic patients. Collectively, the contributors to Psychoanalytic Therapy as Health Care convincingly refute the claim that psychoanalytically informed therapy is an esoteric treatment suited only to the "worried well." Drawing on a wide range of clinical and empirical evidence, they forcefully argue that contemporary psychoanalytic approaches are applicable to seriously distressed persons in a variety of treatment contexts. Failure to include such long-term therapies within health care delivery systems, they conclude, will deprive many patients of help they need - and help from which they can benefit in enduring ways that far transcend the limited treatment goals of managed care. "The editors have assembled a highly relevant and timely examination of the purgatorio where psychoanalytic psychotherapy and managed care meet. Although they focus on psychoanalytic therapy, they clearly believe that psychoanalysis operates as a bellwether for the key issue that has come to plague all humanistic psychotherapists, namely, the pressure for 'quick fix' treatments of diagnostically reified patients, with all its concomitant loss of dignity and privacy. The contributors carefully and even-handedly examine the issues, make a strong case for the contemporary relevance of psychoanalysis, and point out the directions it must move in to maintain that relevance in the future. This illuminating book should be of great interest both to health care professionals and to a lay audience-and not just of patients-who see in our current version of managed care the death knell of a humanistic approach to illness of any kind." "Psychoanalytically oriented or informed psychotherapy is devoted to the optimization of human functioning, with cost considered only secondarily. Managed care is intent on containing the costs of delivering mental health services, with a return to previous functioning, rather than growth and change, considered an acceptable goal. The contributors to Psychoanalytic Therapy as Health Care examine the many consequences that follow from the collision of these two cultures. Any student of the contemporary health care delivery system will benefit by considering the many issues raised by this provocative and thoughtful volume." Harriette Kaley, Ph.D., is Professor Emerita and Adjunct Professor, Brooklyn College, City University of New York Graduate School Psychology Program. She is currently in private practice in New York City. Morris Eagle, Ph.D., is Professor, Derner Institute of Advanced Psychology Studies, Adelphi University, Garden City, New York. He is also Faculty, New York University Postdoctoral Program in Psychotherapy and Psychoanalysis. David L. Wolitzky, Ph.D., is Director, New York University Psychology Clinic and Faculty, Department of Psychology, New York University, and former Director, New York University Postdoctoral Program in Psychotherapy and Psychoanalysis.